For most of us, school is back in session and with that comes the many post school activities, extracurricular activities, and sports routine. Back to school shopping isn't just for the classroom these days. I find I'm spending more time searching for items they need for all their post school activities. Both my boys are doing Boy Scouts this year. 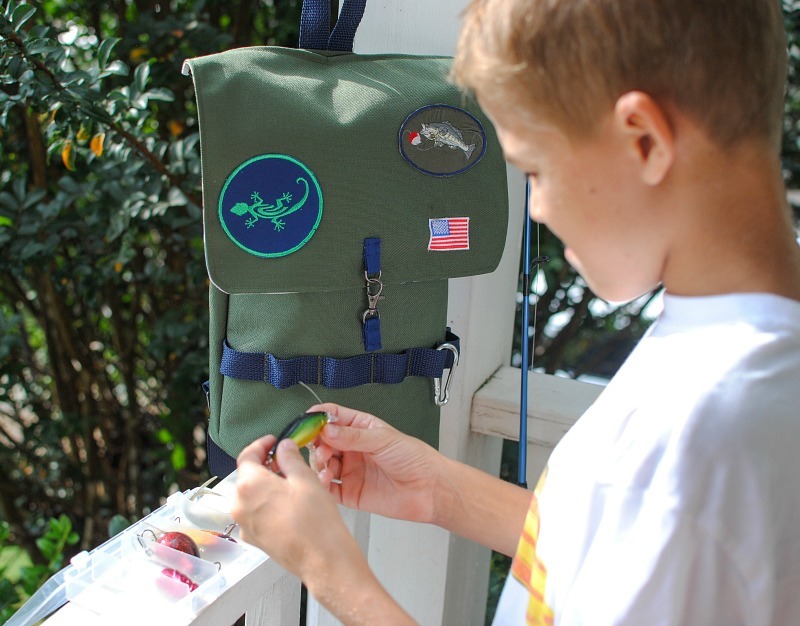 They love anything outdoors and spend most their Summer days fishing or just playing outside catching lizards and playing sports. 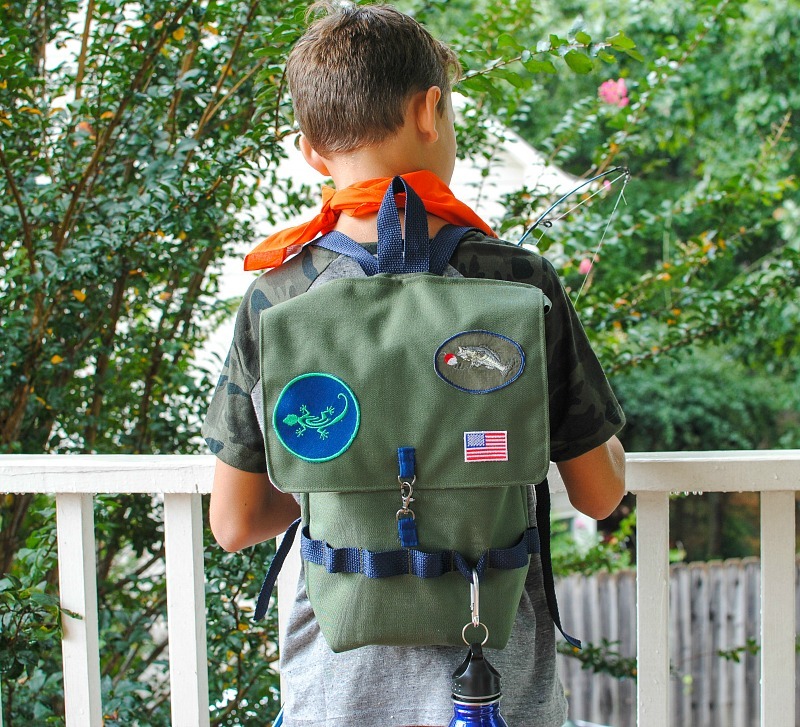 My son brought up the idea of getting an outdoor backpack he can carry his fishing kit with and some gadgets for holding his water bottle and lures. 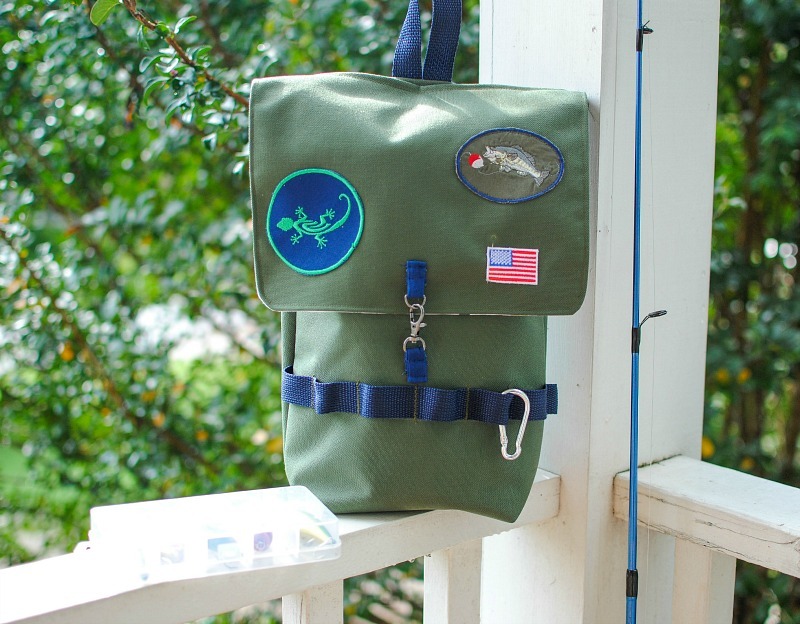 Since we couldn't find one he was interested in we sat down together and designed one (The Vinny Backpack) using Dritz bag hardware supplies making it great for any activity. Cut 2 pieces of fabric for the exterior. 15" x 17"
Cut 2 liners (optional) I did not do a liner because the material I used was sturdy and waterproof. 15" x 17"
Cut a exterior flap and liner flap. 8" x 15"
For the front piece mark with tailors chalk 3" up from the bottom and another line 6" up. Add polypro belting just above the 6" mark and pin 1-2" apart creating sections in between each pin. 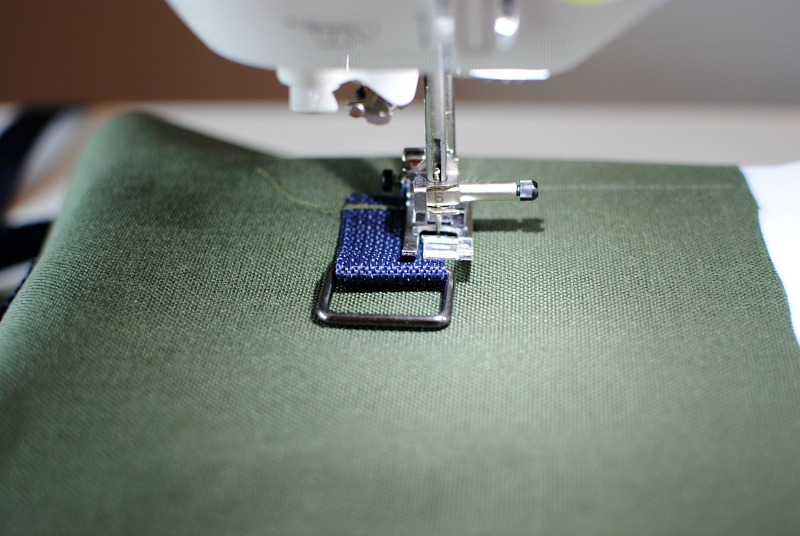 Sew with a zigzag stitch a couple times to secure each section. For the back piece repeat the 3" line from the bottom. 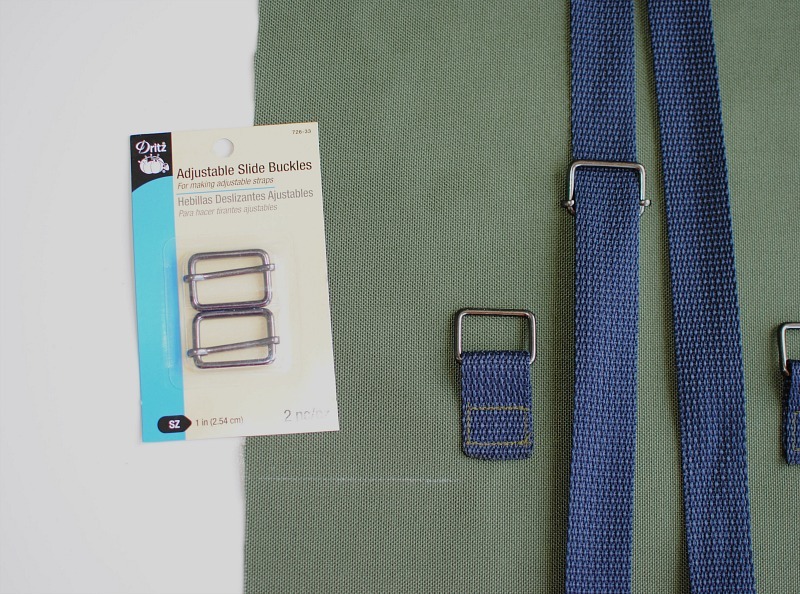 Add rectangle rings with 3" polypro belting tabs 3/4" above the 3" mark and center them for the straps. 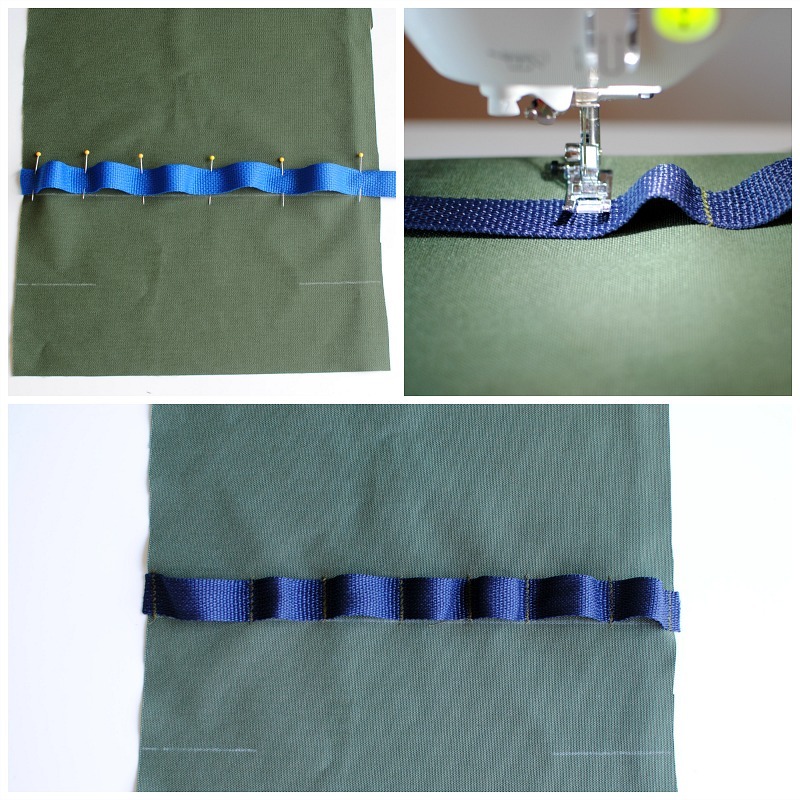 You will want to burn the edges of the belting to prevent fraying. 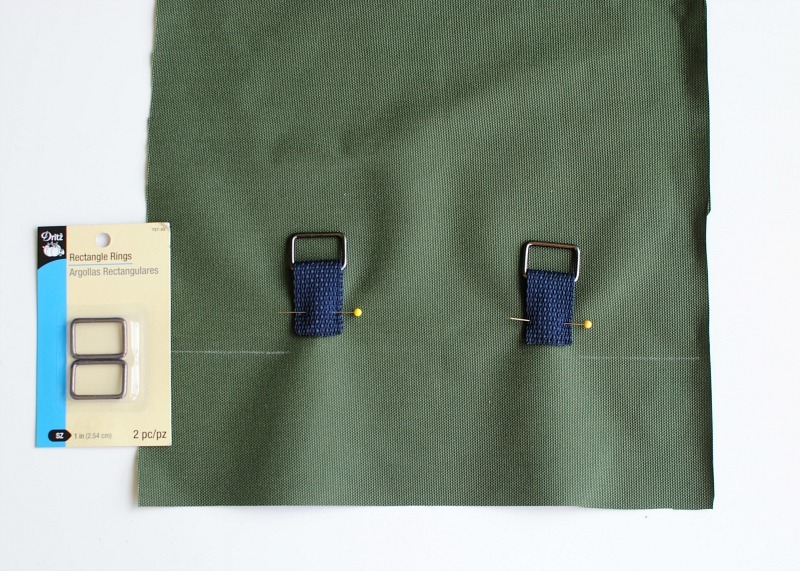 Sew a secure square to secure the rings. 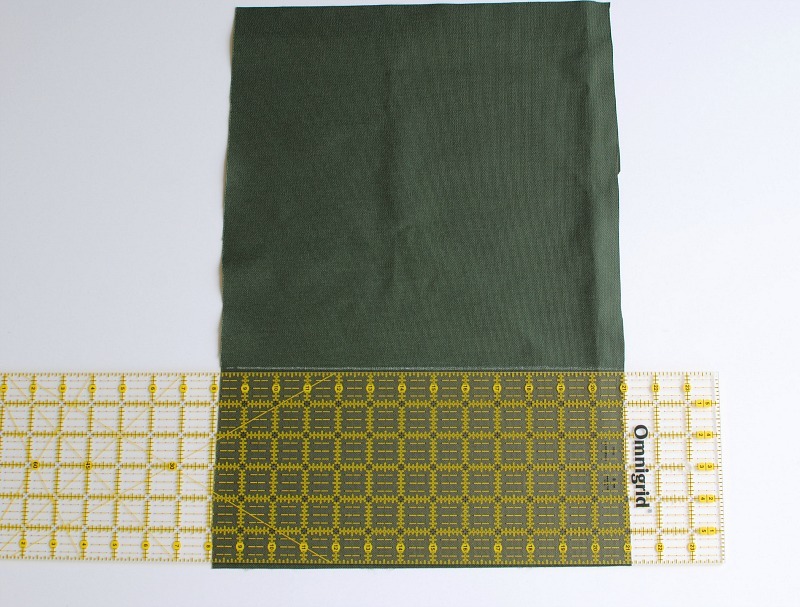 Add a strip of polypro belting about 2 yards in length. 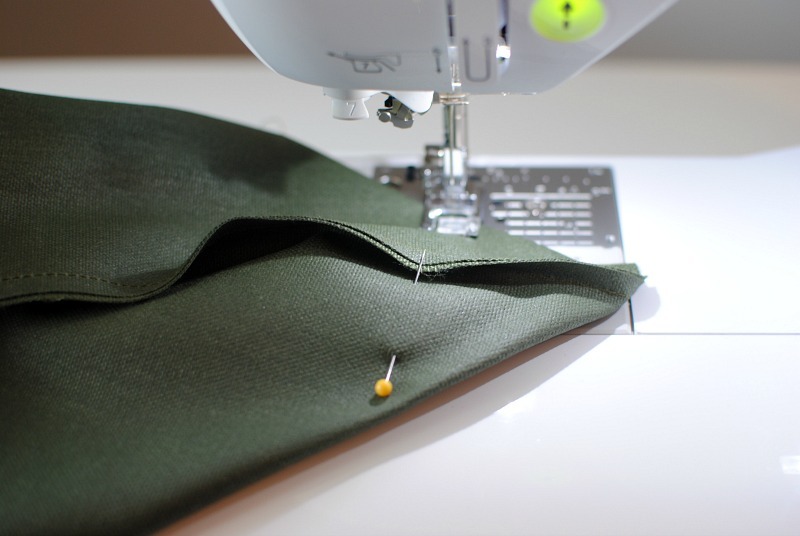 Form a continuous loop at the center top about 3" above and secure 2" down from the top by sewing a square on each side. 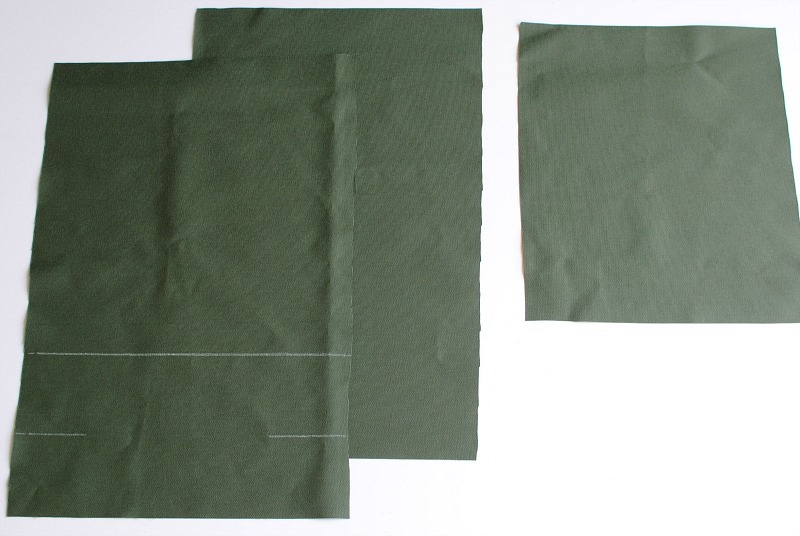 You will want to fray check the edges to prevent fraying. Attach through the rectangle rings. 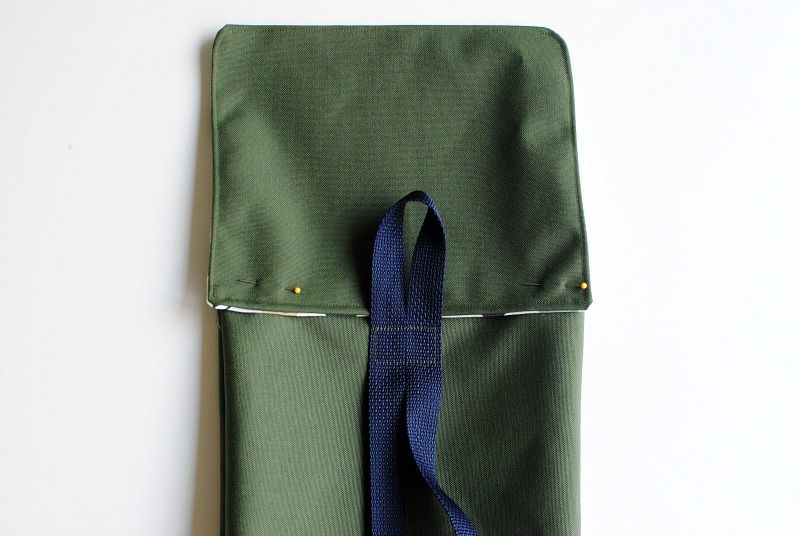 Add the adjustable slide buckles and pull through the rectangle rings and through the back of the slides. Place front and back right sides together and sew making sure to not sew over the straps. If you have a liner you will want to place sew it in a t this point. 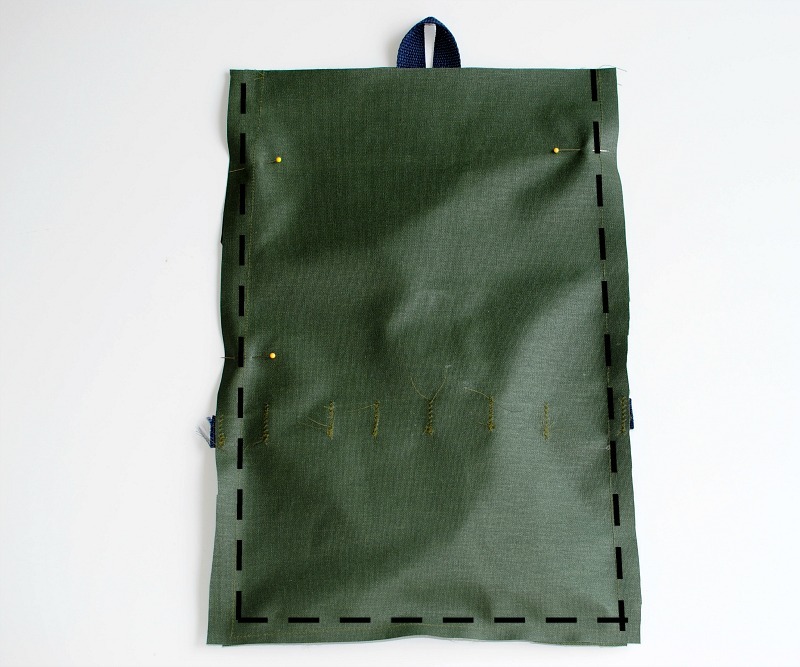 If you want to finish the top hem, sew over a 1/2"-1" and add a snap or add a drawstring casing like I did here with a set of eyelets. Fold the side seams so they meet and pin across to secure. Sew straight across about 2" up to form a flat bottom for the backpack. For the front flap sew exterior and liner right sides together, keeping the top open to pull right sides out. Press, as you press make sure to flip the top portion of the flap in 1/4". Top stitch all around the edges. 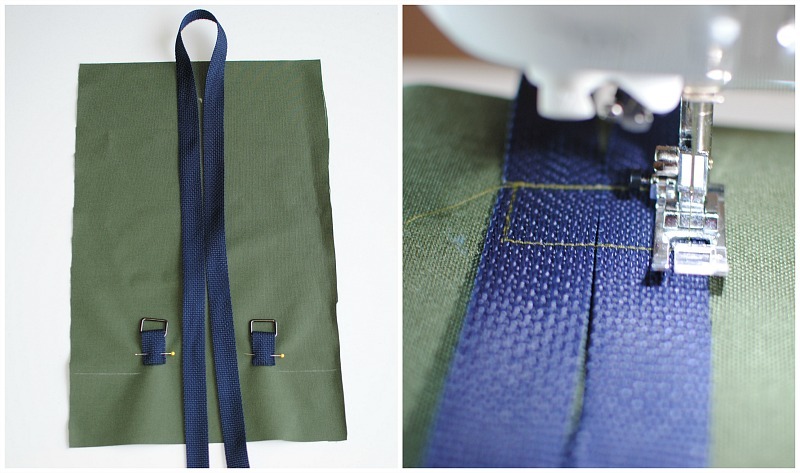 Pin the flap just above the back straps and topstitch. 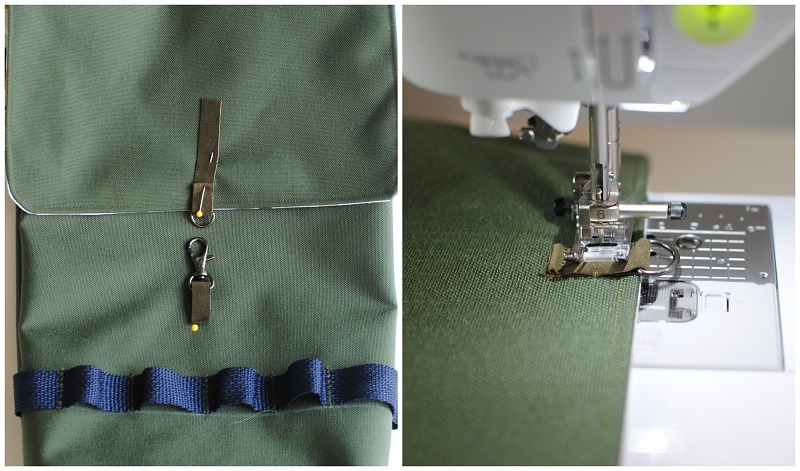 Last thing to do is add a set of Swivel hook & D-Ring for closure with tabs or even a sew on snap. As for me, writing tips from https://resumecvwriter.com/blog/parts-of-cover-letter will be useful for students. You can get high result for your cover letter after reading this information.